A swimming pool is a great investment and in addition to adding elegance to your home, it helps you to easily and efficiently cool down your body temperature during those hot days. A pool is time-consuming and expensive and whether it will give you services many years to come depends on the builder you choose. Well, choosing a pool builder could be overwhelming especially due to the high number of people claiming to experts in pool building, but you don’t have to worry anymore as we will tell you why you should choose Regal Pool for all your needs related to pools. 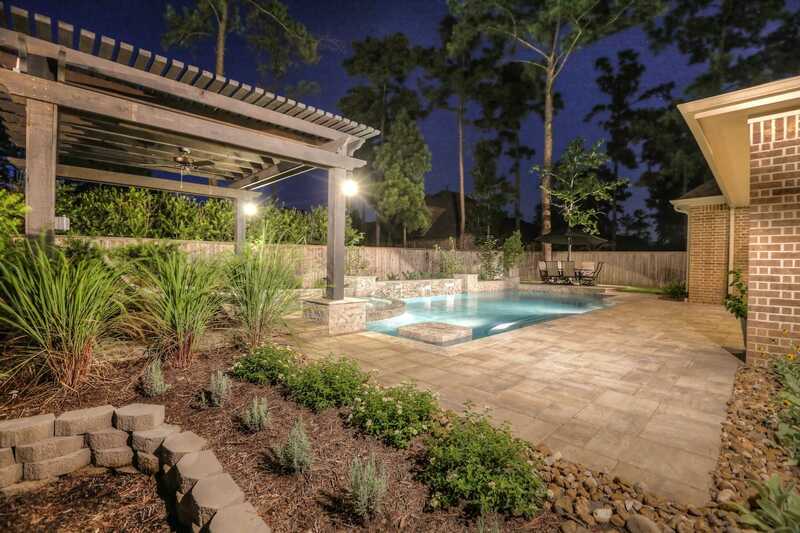 Regal pool is one of the best pool companies in Houston. We understand the importance and having a beautiful pool either in your home or business. Over the years, we have had exceptional pool building services and our hard work has been awarded greatly. We have received Master Pools Guild Award for four years now; 3 Gold Wards in 2016, 9 awards in 2016, 10 awards in 2017, and 11 awards in 2018. Due to our unparallel customer services, we earned the ‘Best of Houzz 2015’ by Houzz.com; in 2018, we were on the list of Pool & Spa News Top 50 Builders and in 2014 and 2015, we were awarded 7 Accolades by Pebble Tec Words Greatest Pools. In 2015, The APSP International Awards of Excellence recognized our hard work and rewarded us with Bronze Award, and we have also received different rewards from The Association of Pool & Spa Professionals (Award of Merit in 2014, Bronze n 2015, Silver in 2016, and Gold in 2017), and this is an illustration of how serious we are with our work. 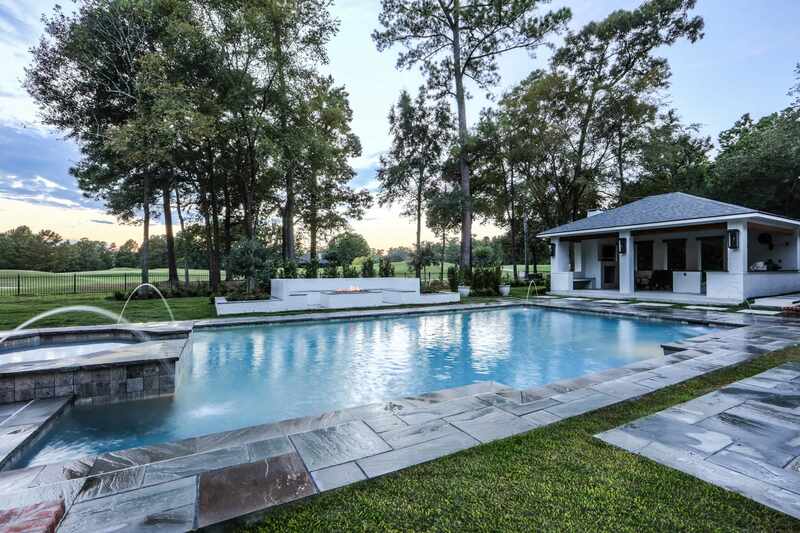 Regal Pool and Design was established in 2008 by Josh Buzzell with a primary objective of offering pool construction services to the people of The Woodlands, Texas. Josh heard many people from Conroe, Cypress, Montgomery, The Woodlands, and Magnolia complaining about lack of reputable pool and patio design companies and took advantage of this great opportunity to give homeowners what they wanted. He also understood that in order to succeed in this business, he had to offer exceptional customer services to the customers and therefore, he joined hands with Edwin Escobar who had a vast knowledge of the industry. 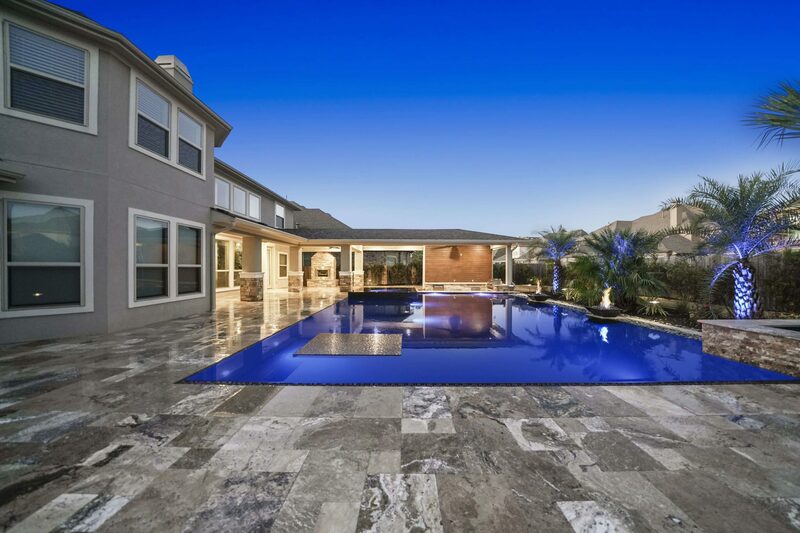 Since then, Regal Pool and Design has found a place in many homeowners’ hearts and if you are looking for the best Houston pool builders, search no more. We understand how important a pool is to our clients and for that case, we hire a team of experienced and skilled craftsmen and also partner with reputable contractors to deliver nothing but topnotch quality, outstanding custom design, as well as unparalleled customer service. We are driven by thrill, passion and dedication to build a pool for your home and business that you’ll enjoy many years to come. At Regal Pools, we understand the importance of a well-maintained pool, not only for elegance but also for your health and we are here to remodel, repair, or perform monthly service on your pool to ensure it’s safe and good-looking all year round. Given that we are licensed through Texas, we know what’s good for your pool or spa and we are the best swimming pool contractor you can trust. We are proud to say that we are insured and through the years, we have gained exceptional experience in quality pool service and repair and we can make your pool look beautiful and attractive year after year. In order to keep your pool clean and healthy, we provide chemical check and addition weekly as needed. We also brush all benches, steps, and walls, and empty skimmers and cleaners and get rid of the debris. If your pool needs filter backwashing, there’s nothing to worry about as we do provide and to make it even more interesting, we visually inspect the equipment and we notify you of any leaks or needed repair. Our weekly full services include chemical check and addition; brushing of benches, steps, and walls; netting and vacuuming the entire pool; emptying skimmers and cleaners and getting rid of debris; providing filter backwashing as needed; visually inspecting every equipment and notifying the pool owner of any leaks and needed repairs. Without a shadow of a doubt, everyone gets excited to have a pool in their backyard. However with time, the pool develops stains and cracks on the floor, tile goes out of style, and some equipment may fail to function as they should. You should not panic as we at Regal Pool offer pool renovation and remodeling services to give your pool a new life and improve your swimming experience. Over the years we have been delivering our services to our customers and one thing we’ve realized is that customers are different and have different preferences. However, with different pool designs available today, we are here at your service to incorporate everything from outdoor kitchens, landscaping, fireplaces, pergolas and outdoor living areas to give your backyard a new feeling. We work closely with our customers to help them make a decision on what’s best for their pool based on the availability of space. There are different finishing available and you are free to choose the one that reflects your lifestyle. Pebble Tec® brand pool finish, for instance, is a stain-resistance surface with a natural texture and will be perfect for anyone looking forward to giving their pools a more natural look. Pebble Tec is available in 18 attractive colors making it easier for you to make your choice and enjoy sophisticated look many years to come. Pebble Sheen® brand pool finish is available in 16 attractive colors and provides a natural beauty that takes your pool design to a new level of art and style. They are made of tiny mosaic pebbles stacked together to form a luxurious pool surface that’s not only durable but stain resistant. If you want your neighbors to stop by your pool and say how beautiful it is, consider Ledge Lounger. They provide serene in-water seating for high-quality outdoor furniture for stylish accessories that create an ultimate outdoor scene. Interestingly, Ledge Lounger products are made of high-quality materials capable of withstanding harsh pool environment meaning that they give value for your money. Houston was established on August 30, 1836, by land speculators at the confluence of White Oak Bayou and Buffalo Bayou. It became a city in 1837 before being ready to host government functions and was named after General Sam Houston, the Republic of Texas president who was very active during Texas independence. Houston was admitted to the Union in 1846 and in 1850, it had a population of 2,397. In 1837, Houston saw their first steamship and railroad operation began in 1853. The local population supported secession during the Civil War and after readmission of Texas to the Union in 1870, Houston had a population of 17, 735. Houston advanced technologically due to the introduction of the telephone in 1880 and electricity a year later. In 1901, oil was discovered at Spindletop and saw tremendous growth in population and economy. With time, aeronautics, manufacturing, energy and transportation became the pillar of Houston’s economy. 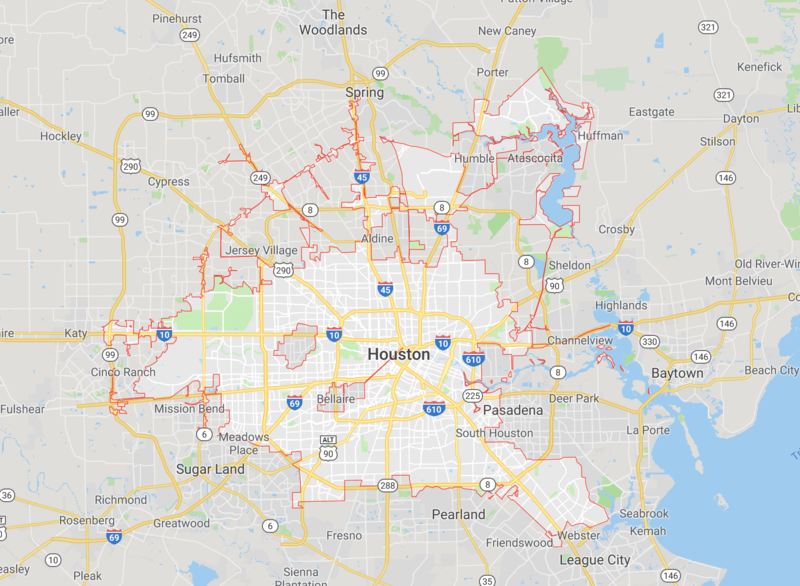 According to data collected in 2017, Houston has a population of 2.312 million people making it the fourth most populated city in the U.S and the most populous in the U.S state of Texas. Houston is full of world-class events and attractions and whether you’re looking for a weekend getaway or exciting day trip, traveling for official business or taking your family on a friendly adventure, one thing for sure is that the place packs everything for everyone. Houston is recognized internationally for shopping, nightlife, dining and entertainment but the most interesting thing is that there are many things you can do there without breaking your budget and here is a list of some of them. Do you love animals? If yes, the best way to connect with them is by visiting Houston Zoo that shelters more than 4,000 animals and nine-hundred species. You get an opportunity to admire God’s creation by admiring animals and if you still have energy, walk through the beautifully landscaped grounds with your lovebird or friends. The most interesting thing is to feed the giraffe which triggers an experience that stays in your heart forever. The best way to break from the hustle and bustle of the city is to head to a cool place and have fun with friends and family. Head to Kemah Boardwalk which is the perfect place to entertain your family, and get to the Cadillac Bar for your favorite cold beer, and Landry’s Seafood House for finger-licking meals. You can as well head to attractions such as train ride, Ferris wheel and a carousel and create memories that will last forever. If you spend a lot of time at the workplace and you are feeling stressed out, the best way to free your mind of that burden is through a mind game. At PanIQ Room, you are locked in a room and you are given an opportunity to find your way out. This makes your mind active and you learn how to focus. If you are a student, escape room will improve your level of focus and trust me, you’ll get home better and energized. If you are running out of cash and you need something entertaining, Houston has everything for everyone. Head to the Miller Outdoor Theatre between March and November and enjoy free performances that will blow your mind from Jurassic Park screening to Shakespeare.